Made of PP and PE film with bubble linings. Pearl composed film combines the strength and versatility of a courier envelope with the cushioning bubbles. 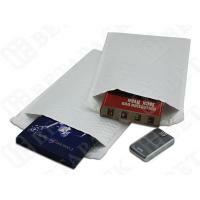 The pearl poly bubble mailer can protect the goods from damage during the delivery course. Lightest weight for postal savings. Fully laminated, the pearl poly bubble envelope offers maximum, all round protection moisture, tear and puncture resistance. White pearl exterior for optimum appearance, excellent for printing. One or two color printing are available. High-slip bubble lining in this pearl bubble mailer can make goods insert easily. Writing excellently on the pearl surface. 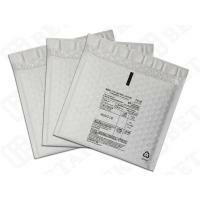 Convenient self-seal closure eliminates the need for staples and tape and forms a water-resistant, secure package. 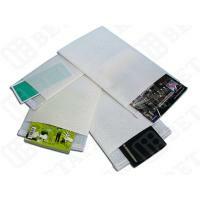 Pearl Poly Bubble Mailer can be used for Drugs, Audio CDs, Novelties, Jewelry and Spare Parts ect. Pearl Poly Bubble Envelope is a perfect replacer of the wood box and paper box for the packaging.